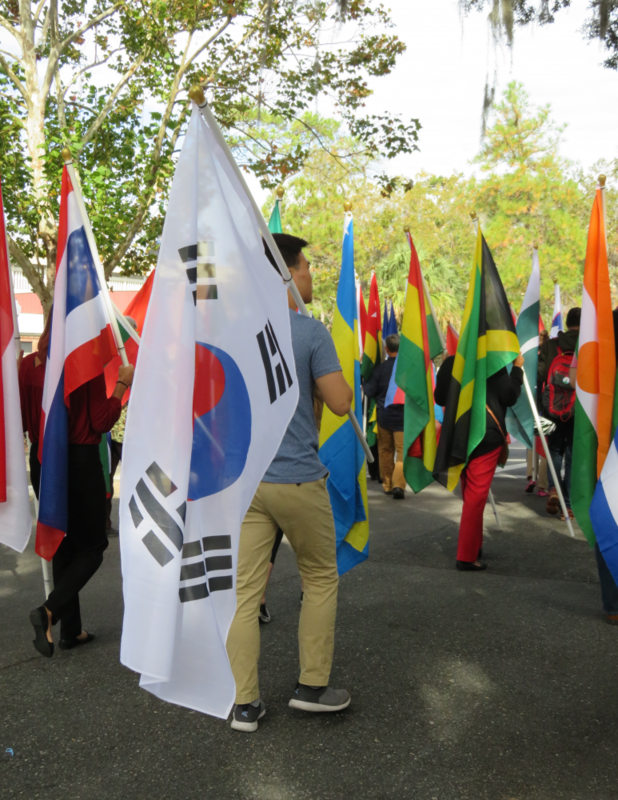 Students and staff marched along Stadium Road Monday, waving more than 50 large flags representing countries from all over the world. 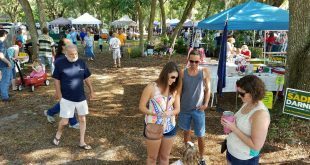 “Awareness of the rest of the world is really important,” said Gabby Khawly, 21, a biology student at UF. 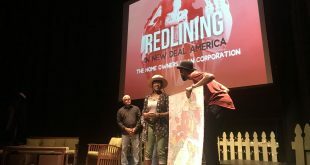 Gabby had heard about the event just hours before and felt she had to go. 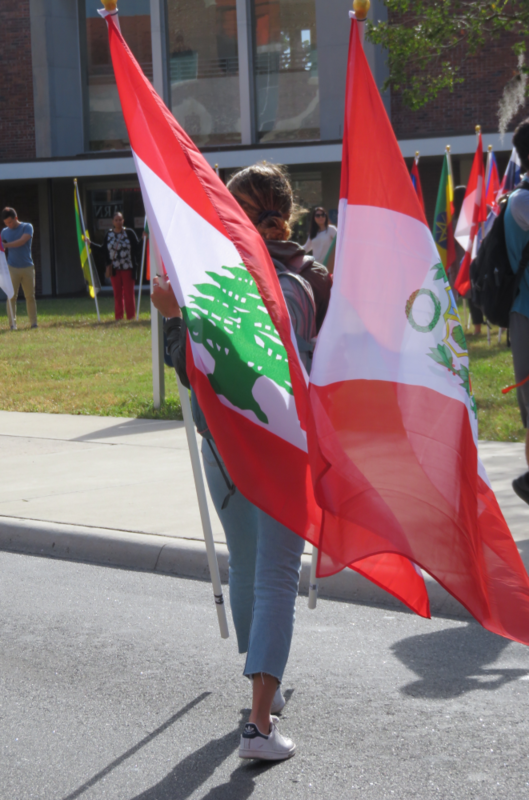 She held one flag for Peru and one for Lebanon. 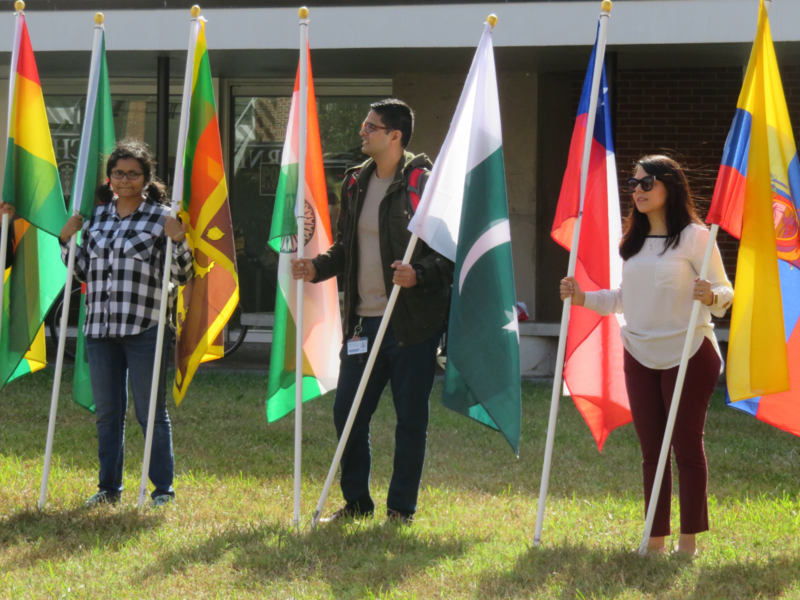 The UF International Center organized the flag parade to kick off International Education week. The event was organized to “raise awareness about international education and UF’s global mission,” according to a press release. 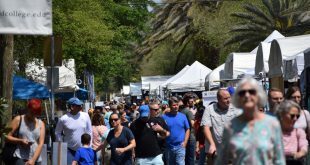 Marchers started at the West loading area of the Hub and walked down toward Turlington at 10 a.m. 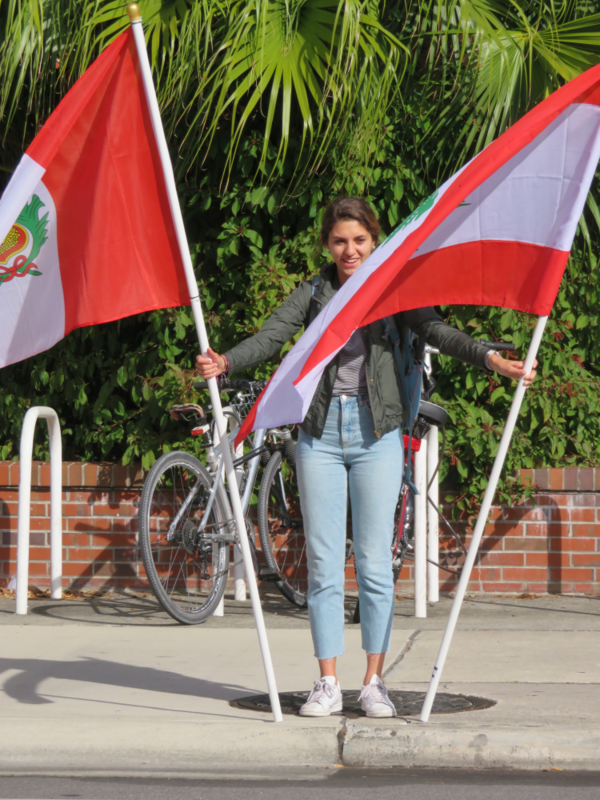 They stopped and faced each other from either side of the street, standing in solidarity as they waved the flags of some of the countries represented by international students and scholars on campus. “This is my first time to hold my flag in behalf of Koreans,” said Han Kwon, 25, a research assistant at UF who is from Korea and has been in the states for 10 months.